The restoration program launched by the Moscow authorities is analyzed in terms of the history of Soviet architecture and society. It is criticized for its nonconformity with the current legislation, breaches of procedures of declaring buildings in disrepair, weak ecological, procedural, social and other aspects of the program, refusal to use international experience in reconstruction of five-storey buildings, in particular, the German experience. The article reveals that the Draft Federal Law, amending the Federal Law “On the status of the capital of the Russian Federation” and serving to regulate the processes of renovation of the housing stock in Moscow, does not comply with the Russian laws. Code of Justice of the RSFSR. (1918), No 16, art. 674, p. 113. Collection of Laws of the USSR. (1935). No 59, art. 483.
stroitelnoi politike. Podprogramma “Rekonstruktsiya zhilykh domov pervykh massovykh serii” Gosudarstvennoi tselevoi programmy “Zhilishche” [The State Committee of the Russian Federation on housing and building policy. Subprogram “Reconstruction of houses of the first mass series” of the State special-purpose program “Dwelling”](1995). Moscow. Meerovich, M., Malko, A., Kozlov, V., Kozlova, L. & Gladkova, E. (2017a). Renovation of the Panel House-Building of the 1960-1980s in Germany. Project Baikal, 14(51), 154-161. 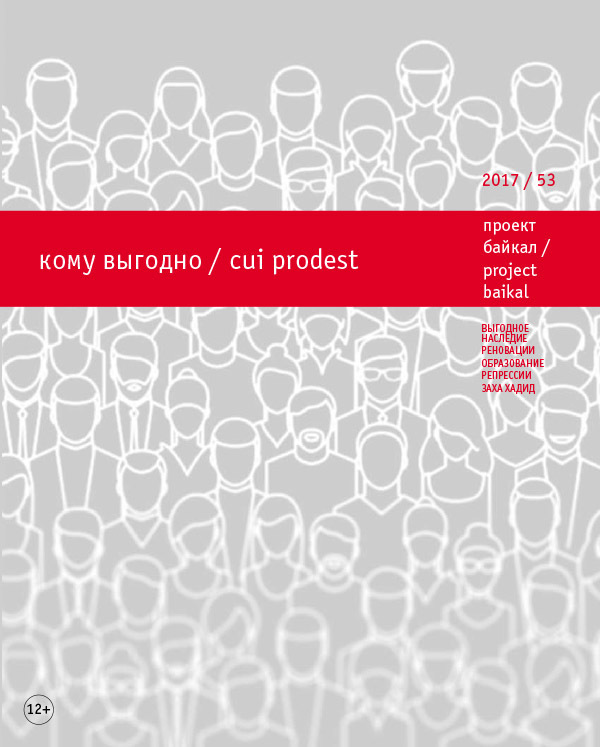 Meerovich, M., Malko, A., Kozlov, V., Kozlova, L. & Gladkova, E. (2017b). Renovatsii panelnoi zastroiki 1960-1980 godov v Germanii [Renovation of the panel house-building of the 1960-1980s in Germany]. Izv. Vuzov. Investitsii. Stroitelstvo. Nedvizhimost, 1(20), 111-119. Meerovich, M., & Frantseva, Yu. (2017). Problemy kompleksnoi regeneratsii zhiloi sredy raionov krupnopanelnoi zastroiki. Vozmozhnost adaptatsii germanskogo opyta k sotsialno-ekonomicheskim usloviyam stran SNG [The problems of the complex regeneration of the living environment of the large-panel development areas. Possibility to adopt the German experience to the socio-economic and statutory conditions of the CIS countries]. Izv. vuzov. Investitsii. Stroitelstvo. Nedvizhimost, 1, vol. 7, 120-130. Moscow City Government Decree № 608. (1999, July 6). (Amendments as of 1 November, 2005 № 860-PP). On the tasks of the complex reconstruction of the five-storey development areas of the first period of the industrial house building until 2010. My vmeste sdelaem shag vpered. Startuet programma snosa pyatietazhek [Together we will make a step forward. The program of demolition of five-storey buildings launched]. (2017). Vechernyaya Moskva, 58 (27608), 5. Resheniya partii i pravitelstva po khozyaistvennym voprosam [Economic decisions of the party and the government]. (1967). (Vol.1, p. 15). Moscow. MEEROVICH, Mark. Demolition Impossible to Restore. project baikal, Russian Federation, n. 53, p. 78-84, sep. 2017. ISSN 2309-3072. Available at: <http://projectbaikal.com/index.php/pb/article/view/1221>. Date accessed: 24 apr. 2019. doi: https://doi.org/10.7480/projectbaikal.53.1221.